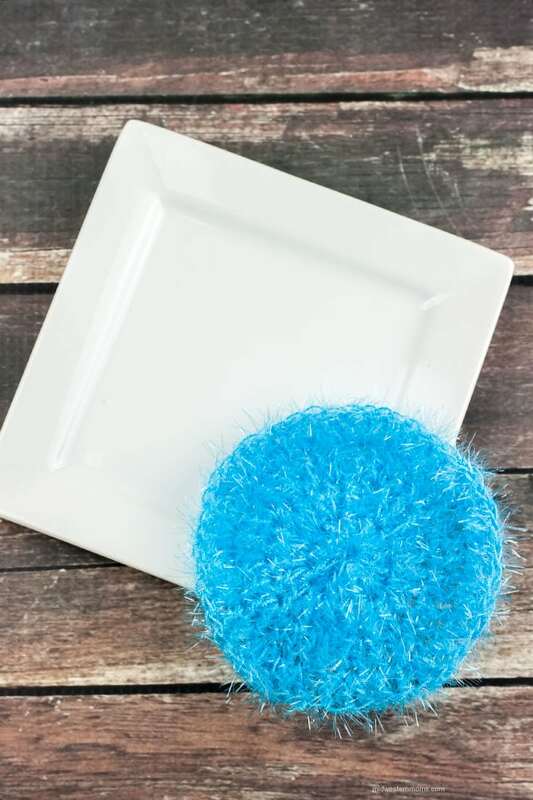 Make your own dish scrubbie with this simple round dish scrubbie pattern. 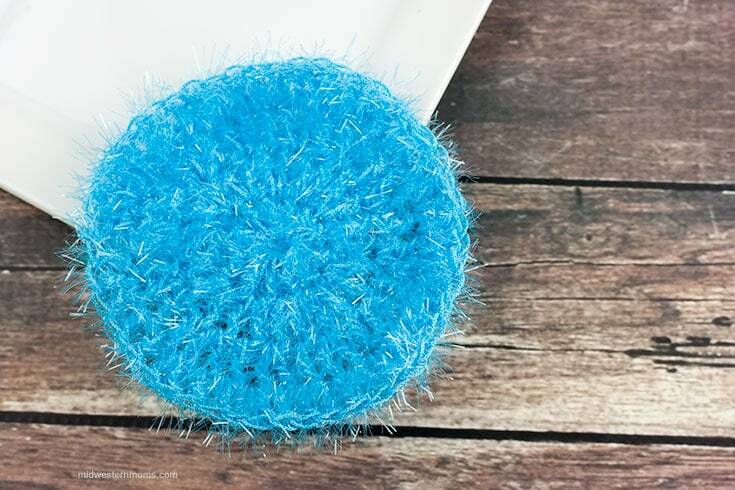 These little scrubbies are a lot more fun than what you get at the store! They are easy to make and only take about 10 to 20 minutes to make, depending on how many disruptions you have. I have previously made scrubbies with Red Heart Scrubby Yarn, however, I decided to try the Scrubby Sparkle Yarn this time. Between the two yarns, I like working with the Scrubby Sparke Yarn the best. It is very easy to crochet with. I am going to have to pick up more of this scrubby sparkle yarn the next time I am at the store. I only picked up the blue when I was there since I was unsure how it would work. It will be fun to create fun scrubbies if I can get my hands on a several colors. Can’t find the supplies you need at the store? I like to order from Amazon so I can use my Prime Membership and get my supplies in 2 days with FREE SHIPPING! Not a prime member? Try Amazon Prime 30-Day Free Trial ! Round 1: Start with the magic circle. Chain 2, double crochet 12 stitches. Then pull your circle closed and slip stitch to join. Round 4: Chain 2. *Double crochet twice into one stitch. Then double crochet once into the next 2 stitches. * Repeat from * to * around. Then slip stitch to join. (48 stitches). Want to print this pattern? Place your email in the newsletter box below to receive an email with a link to print the pattern. If you don’t want to join my newsletter but still want a printable version, you may purchase the pattern on Etsy. we used to make these with regular yarn and they work well that way too. Sorry dont understand the first row of scrubbing pattern. Magic Circle? Chain 2, then 12 Dc? Just a beginner, could you please clarify what magic circle means and where do the 12 dc Go? Here is the link that taught me the magic circle. I also don’t understand the beginning. My other patterns say to chain so many and then slip stitch to join.